I am a big-time food prepper. 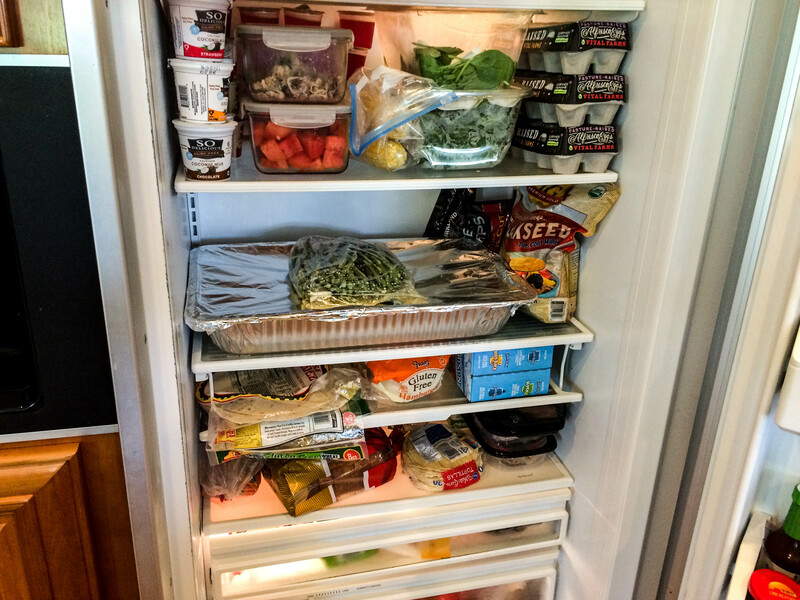 In order to maintain a healthy lifestyle it has to be easy and for me that means keeping healthy food in the fridge ready to go. It’s easy to grab some carbs to round out a meal, so having some protein and veggies ready is key. For years now I have been prepping mass quantities of chicken breasts every few weeks. I’d rather do a WHOLE BUNCH every once in a while than every few days. BBQ in bulk I say. 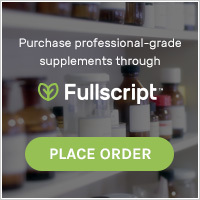 This is the method that works for me and I thought it might be of interest to you. My Greek marinade recipe is so simple and not a perfect science in that it is a little bit different every time…I don’t do any precise measurements when I make it. Growing-up my parents made a Greek Lemon Oregano Chicken and that is what this is based on. With regards to counting macros, I know some people would count the lemon and the olive oil, but I take a somewhat laid-back approach to that and don’t include that in my daily macros because let’s be honest, most of the olive oil cooks off on the BBQ and just makes it so it doesn’t stick to the grill. Now, if my chicken had a sauce poured over it after it had been prepared and was served to me that way, I would most definitely count that in my daily macros. For the “cup” measurements I just use those that are written on the side of my Vitamix. Today I doubled the recipe since I was making 15 chicken breasts as well as 2 bunches of grilled asparagus. Place all ingredients EXCEPT for the dried oregano into the Vitamix and blend until smooth. Add the dried oregano and blend briefly so you preserve the leaves and don’t pulverize them (just personal preference). When it comes to prepping the chicken, the best trick I have discovered is to pound it. By pounding the chicken and making it all the same thickness, you end-up with evenly cooked chicken and chicken that BBQs a heck of a lot faster! It is super moist vs. having uneven dry spots like so often happens with THICK chicken breasts (as long as you don;t overcook it!). I allow the chicken to marinade for 4-8 hours…with this amount of lemon overnight would be TOO much (learned that the hard way)! Make sure you reserve some of the marinade for your veggies. This works awesome with asparagus, zucchini, bell peppers, mushrooms, etc. I like to place a flat black trash bag on my counter in order to avoid chicken juice flying everywhere (and it makes the clean-up a snap). I also pound the chicken inside a produce bag from the grocery store for the same reason. As for how the rest of the prep goes…I’ll tell it in pictures. 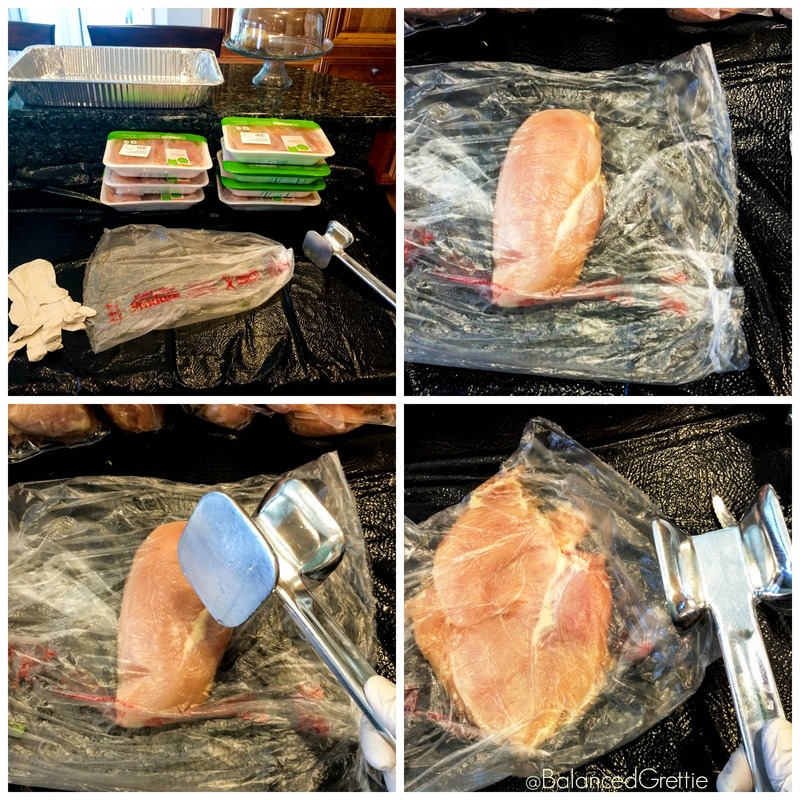 Once my chicken is BBQ’d and has cooled, I put about 4 breasts in the fridge and I vacuum pack bags of 4 and put them in the freezer. 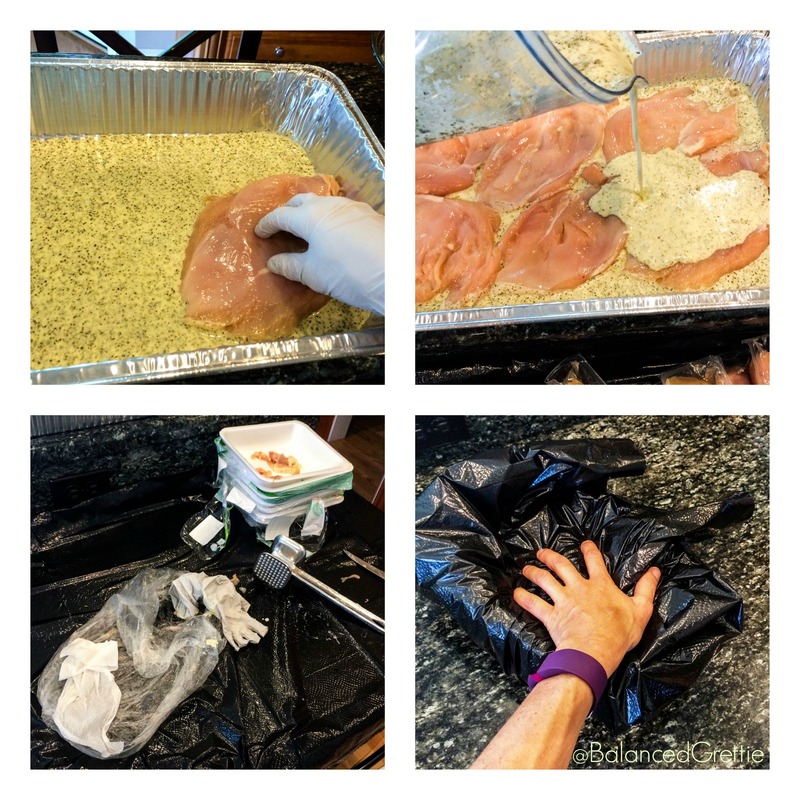 When I am running out of prepped chicken in the fridge I pull out a bag from the freezer and defrost it in cold water (MUCH better result than defrosting in the microwave…I’m not a huge microwave fan). 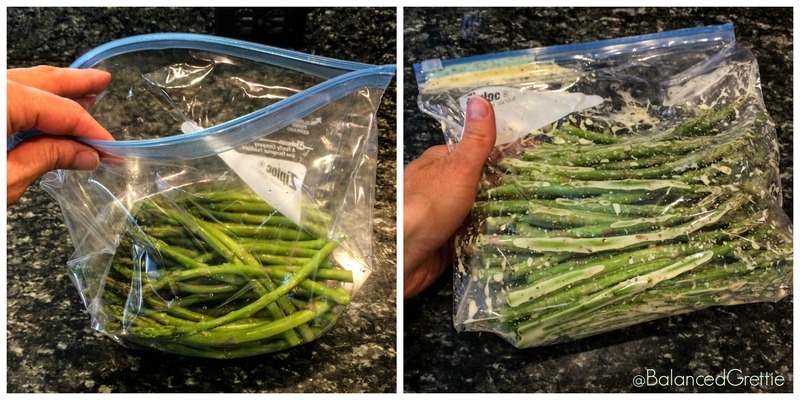 Do any of you have food prep tricks you’d like to share?